I'm a destination travel blogger for a Portuguese speakers. I talk about Tuscany, beaultiful places, food, wine, culture, etc. 90% off my public is brazilians. 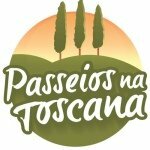 Demographic data for @passeiosnatoscana's audience is available for free to influence.co users.